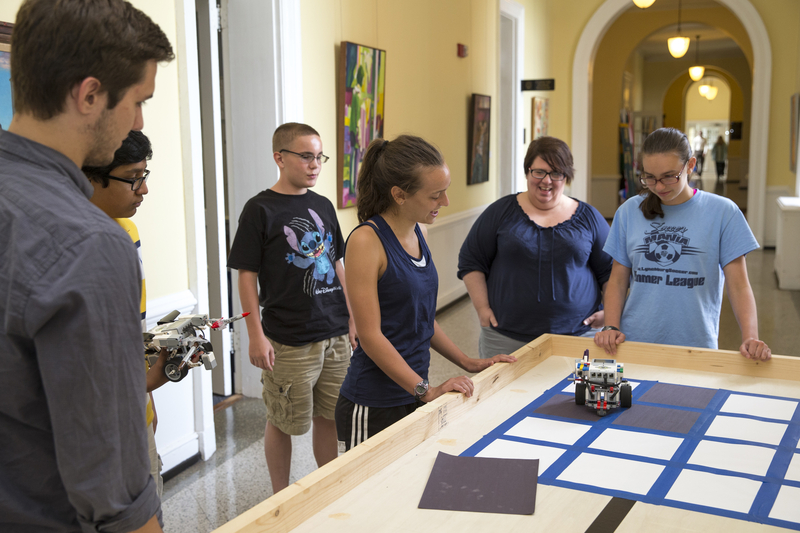 While other summer camps may have focused on athletics, acting, and outdoor activities, participants in Randolph College’s TC3 Coding camp spent time this summer learning computer coding and how to program robots. The camp, in its second year, offered two, one-week sessions for third through seventh grade students. A third week was offered to eighth grade and high school students. Led by Katrin Schenk, a Randolph physics professor, the coding camp was designed to offer area children and teens a different type of summer experience that provided computer programming experience while also enhancing critical thinking and problem-solving skills. Schenk said part of the camp’s appeal is its affordability and its schedule. “My philosophy is this needs to be accessible for working parents, not just to those who have the means to not work or have someone pick up their child,” she said. Many teenagers saw the camp as an opportunity to try something new and plan to continue developing the skills they learned. Olivia Moore, an eighth grader at Brookville Middle School, wants to become an engineer. In addition to computer programming experience, both the younger and older campers improved their understanding of teamwork. The 22 teenagers in the high school camp were split into groups and worked on one of three projects for the week: MATLAB, SNAP, or robotics. They also spent at least 30 minutes outside the computer lab each day, participating in Randolph Admissions activities like scavenger hunts around campus and information sessions on choosing the right college to attend. 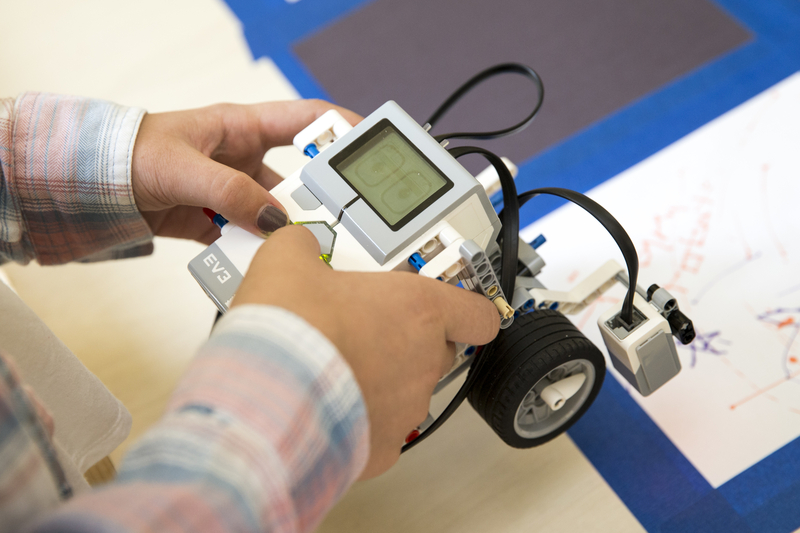 Younger campers worked individually on lessons in binary code and during countless hands-on learning activities, but also partnered to work on robotics projects. One of the most difficult, yet enjoyable projects was using the Scratch program to make robots dance to music. Campers also competed in daily robotics obstacle course challenges, and vied for prizes during competitions designed to test their computer programming and troubleshooting knowledge. The young programmers also spent at least one hour outside each day, visiting the Organic Garden and the Maier Museum of Art at Randolph College. One day when the humidity levels and temperatures were especially high, campers enjoyed a dance party at the RAD Center. At the conclusion of both camp sessions, teams and individuals presented and demonstrated what they had learned. The younger groups spoke during a showcase attended by parents and their fellow campers. Schenk said it gave them early practice in public speaking. In the future, Schenk hopes to make the camp even more affordable through grants and is considering adding a transportation option. An overnight camp is also in the works for next year, which would widen the geographical outreach and attract campers from other parts of the state and the country.